By Rebecca Nickols on May 18, 2012 Visit Rebecca's Website. Inadequate space. 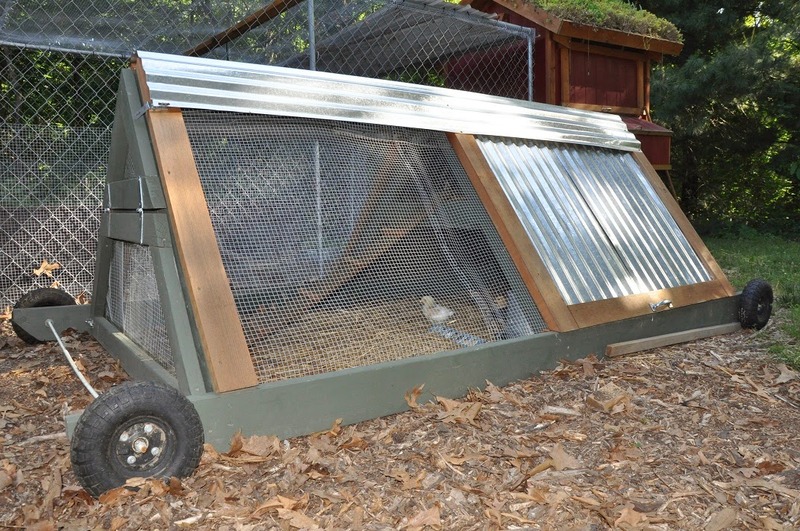 According to My Pet Chicken, the brooder (chick housing) should provide 2 square feet per bird. Insufficient food and water. A constant supply of feed and fresh water is essential to the health (and behavior) of the flock. 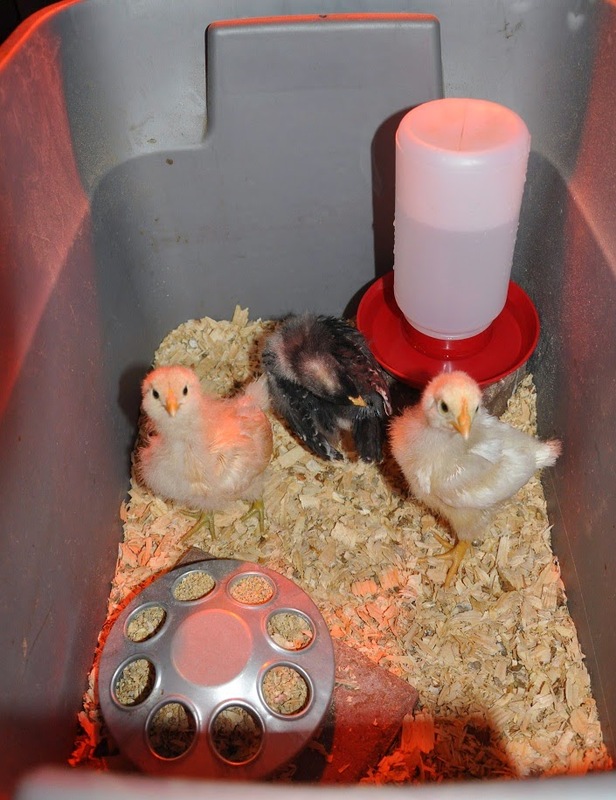 I am using an infrared heat source and have a thermometer in the brooder to monitor the air temperature. Also, there is a constant supply of feed and fresh water available to the chicks. Sounds like the perfect setup, but the small storage container that I’m using as a brooder doesn’t even come close to the recommended space requirement. 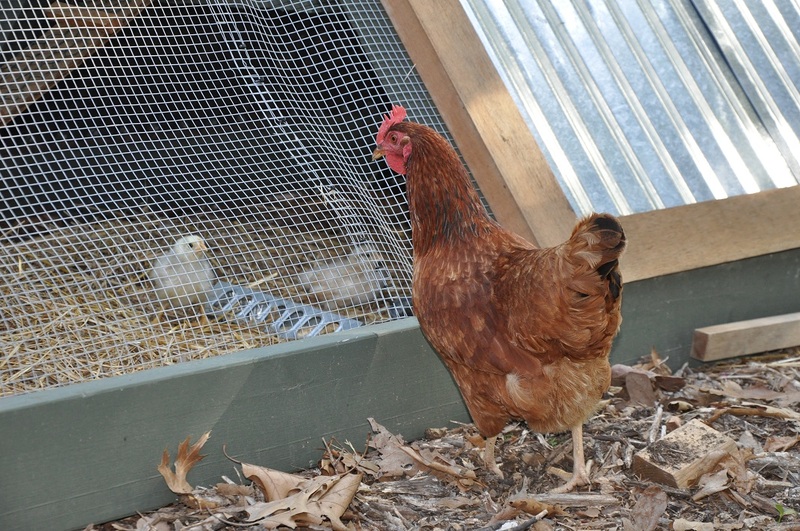 A crowded housing setup leads to boredom and a bored chick is more inclined to pick or peck on their peers. Fortunately the outside temperature has been around 85°F the last few days, and I’ve been able to take the young girls out to the chicken tractor to spend the afternoons. The chicks are much happier in this larger space and have enjoyed scratching and pecking for bugs (instead of each other)! 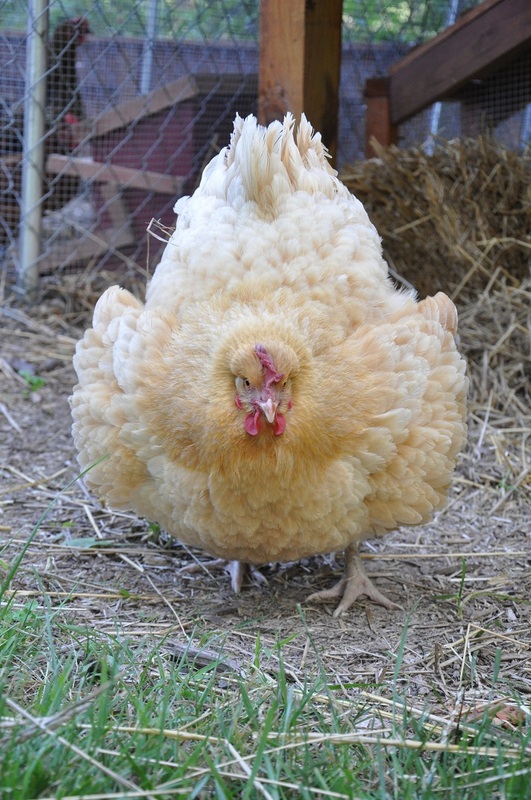 The older hens don’t seem too excited that I’ve added new members to the flock, but hopefully they’ll adjust in time. Henrietta is going into week 2 of her broodiness. I wonder if seeing the newborn chicks threw her into this hormonal state? Great tractor Becks. I’ve just designed one myself on the computer as a couple of people have asked if I can make one for broody hens.